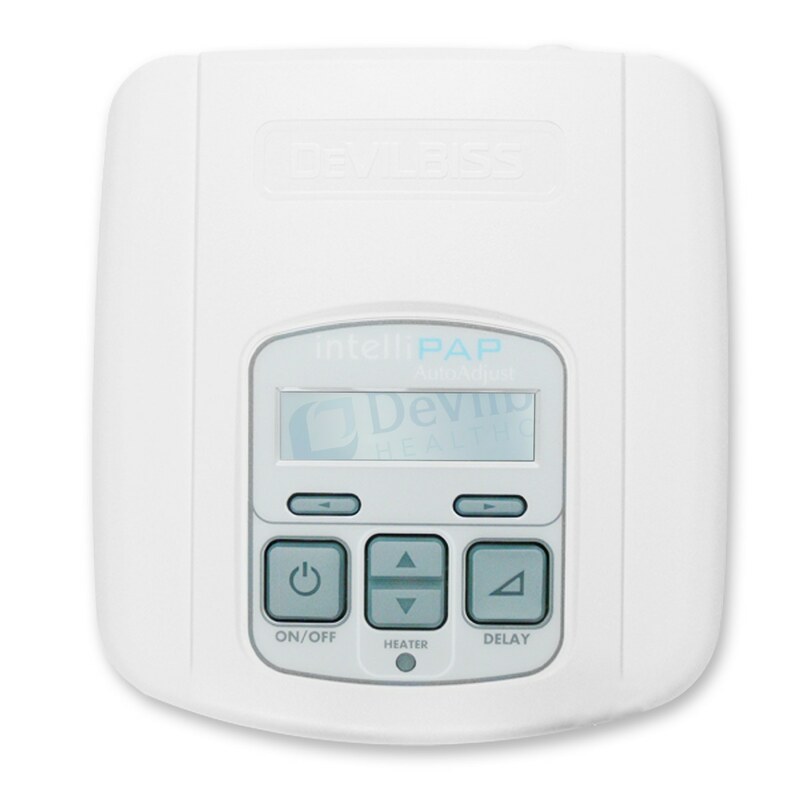 Proudly made in the U.S.A. with a focus on patients and usability, the clean sophisticated design of the DeVilbiss IntelliPAP Series of CPAP/BiPAP Systems is a great step forward in CPAP design. 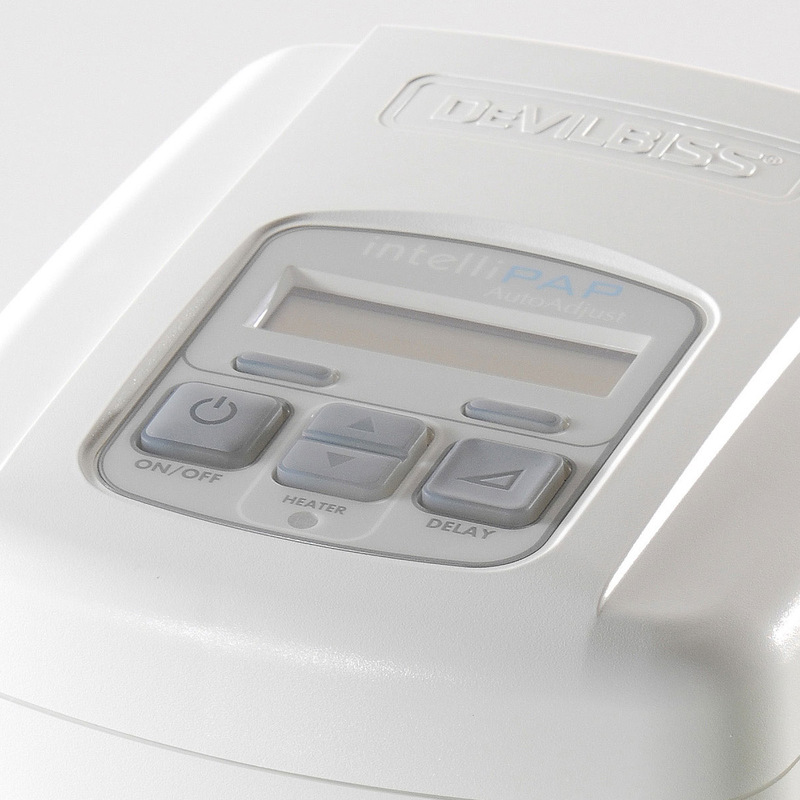 The IntelliPAP Standard CPAP offers whisper quiet operation, an exceptionally small footprint, a rich feature set, and the industry's longest warranty. It is an ideal solution for use at home or away. 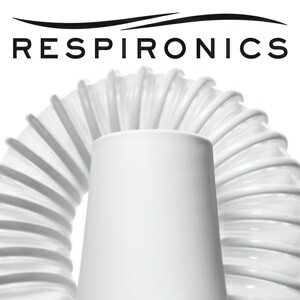 Rich Feature Set Including a Wide Pressure Range, Adjustable Ramp, Auto On/Off, Automatic Altitude Adjustment, etc. 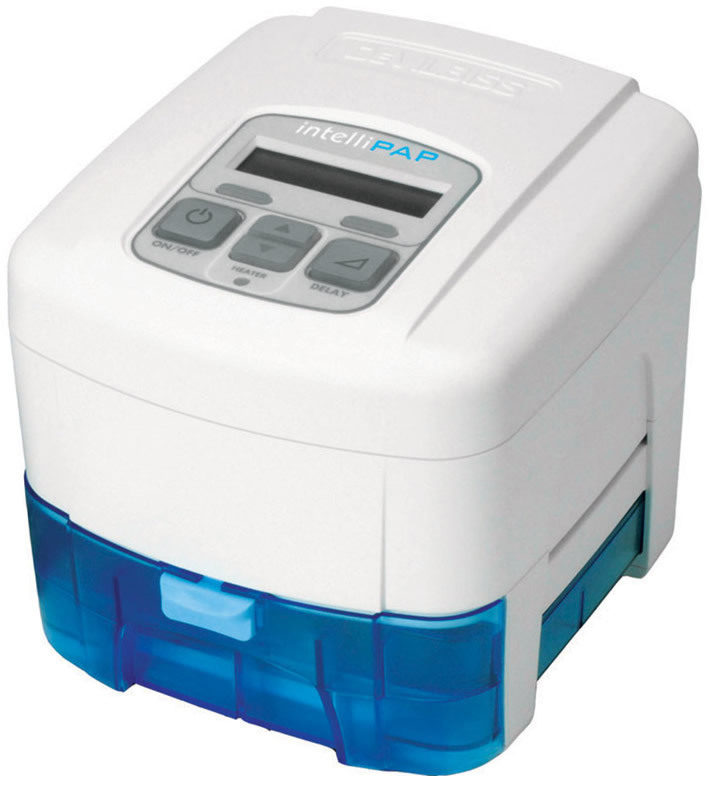 Rich Feature Set: The IntelliPAP Standard includes all of the features you'd expect from a basic CPAP including a wide pressure range (3-20CM), a user adjustable ramp, and a universal power supply; but it also includes great premium features like whisper quiet operation, auto altitude adjustment, automatic leak detection, and auto on/off. 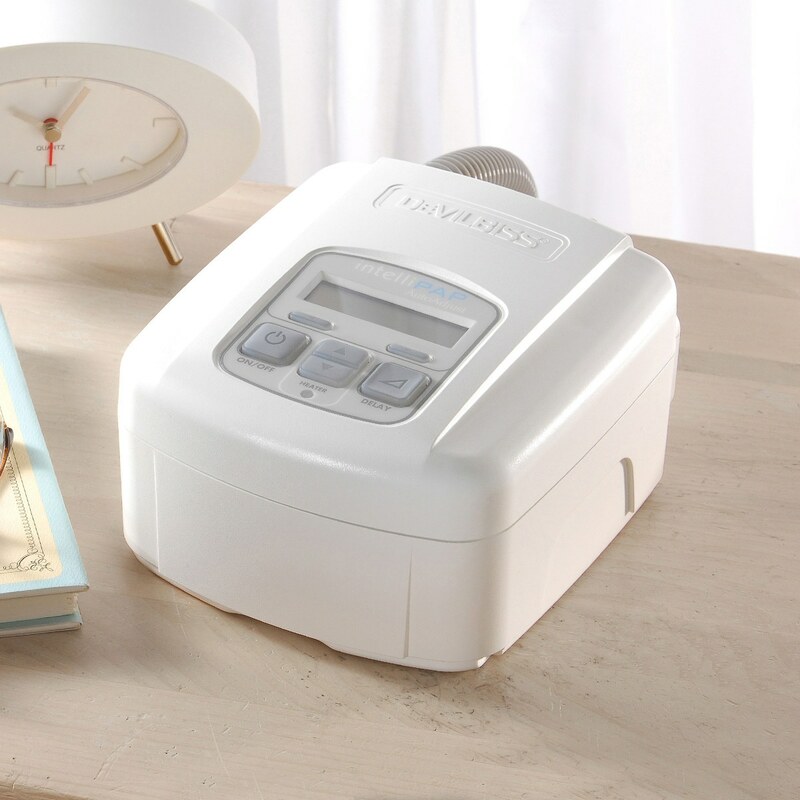 Integrated Heated Humidifier Optional: In addition to being a great CPAP machine the IntelliPAP can be coupled with a truly-integrated heated humidifier. 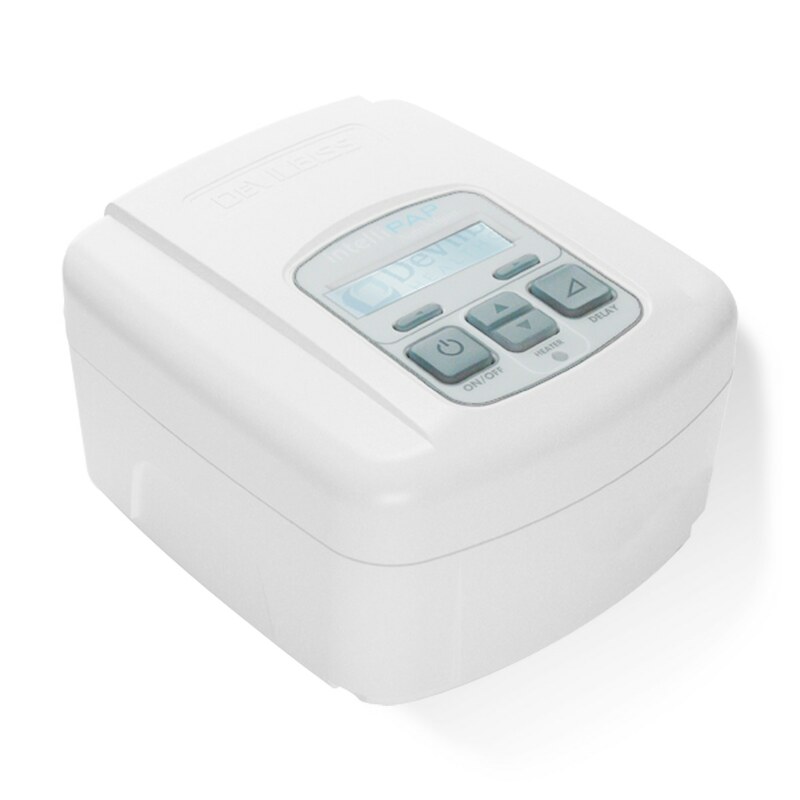 The IntelliPAP Integrated Heated Humidifier docks into the bottom of the unit without requiring a separate hose or power cord.The humidifier chamber is easy to remove and replace and includes built-in overfill protection that prevents water from the humidifier damaging the CPAP! 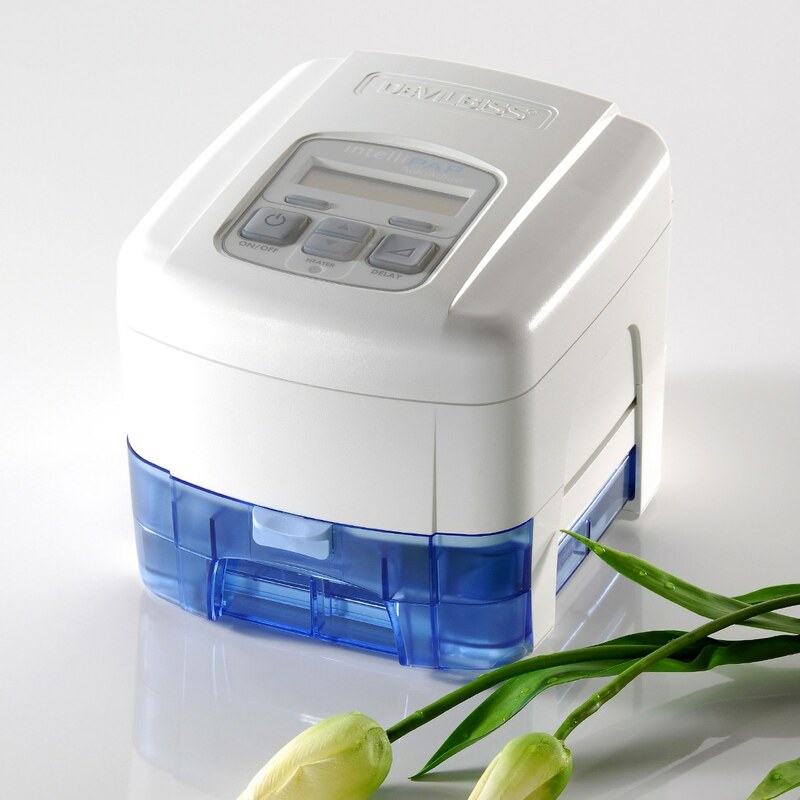 User Adjustable Pressure Ramp: Many people find it is easier to fall asleep with a lower therapy pressure that gradually increases to the full prescribed pressure setting over time. The IntelliPAP's ramp comfort feature does this. Ramp time can be set from 0-45 minutes (in 5 minute increments); and If you wake up in the night and have trouble falling back to sleep, the ramp can be reinitiated with the push of a button. SmartCode Therapy Compliance: The ingenious SmartCode system from DeVilbiss makes it fast and easy to access sleep therapy data -- whether it is for yourself, for your job, or for your doctor. SmartCode is an alpha-numeric code that is shown on the display of the IntelliPAP. Your code can be phoned in to your doctor, emailed to your job, or you can use it yourself. The characters and sequences in your SmartCode contain vital sleep therapy usage data in an encrypted form. Enter the code into the SmartCode Report Generator at IntelliPAP.COM and you'll have instant access to your therapy data in easy to read reports that can be saved or printed. No external software or data card is needed, everything is always available right on your machine! Great For Travel: The IntelliPAP Standard is great for home, but it is built for travel as well. Lightweight, durable construction means the IntelliPAP CPAP weighs less than 3 lbs and fits easily in the supplied carry case or any overnight travel bag. DC power cord and battery options are also available for camping, air travel and boating. In The Package:IntelliPAP Standard CPAP Machine, Travel Bag, Filters (Reusable Foam & Ultra Fine), 6-Foot Tube, Printed Users Manual, Power Cord, 5-Year Warranty. 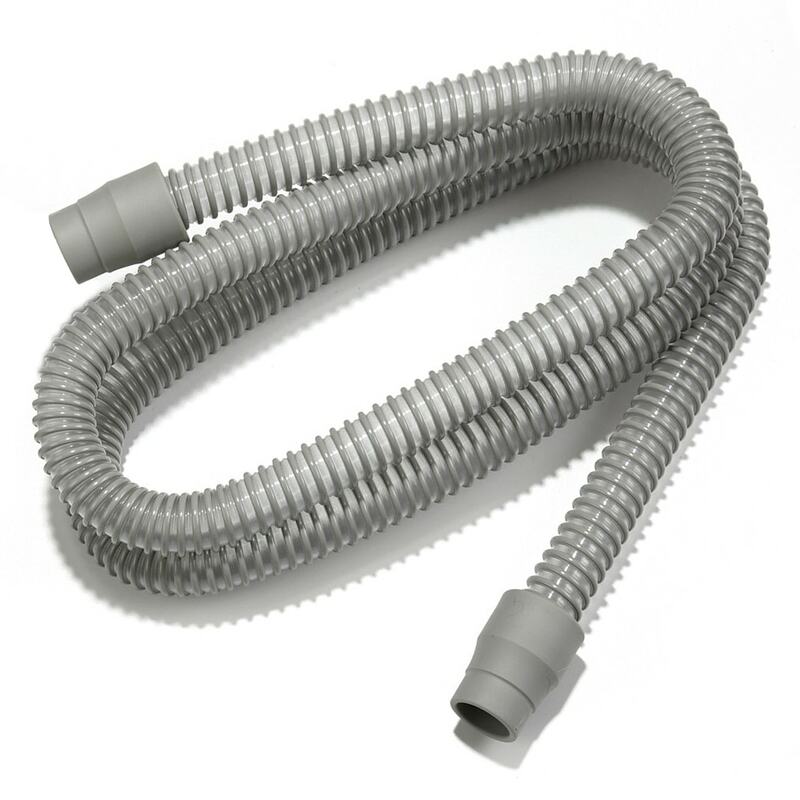 Select Additional Tubing, Power & Humidification Options in Cart. Data Included: Total days used, days used for at least 4 hours, percent of days used for at least 4 hours, and cumulative SmartCode Compliance Score. Great machine. Got it in a timely fashion. Was some confusion on my prescription but it got cleared up with a brief phone call. Nicely done. Excellent machine. Very quiet compared to my last one. Easier to travel with as it is smaller and lighter. This is my second machine of this same model and I think is one of the best bargains around. 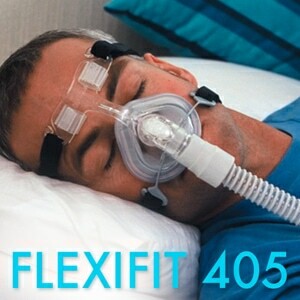 Easy to use, nothing fancy and works as any other CPAP. 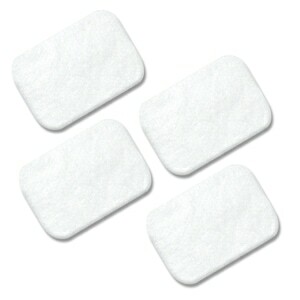 I usually replace my CPAPS every 6 years, and plan on getting another one of these for home use when needed. My new CPAP is working great. I love how much quieter it is and the compact design for the humidifier. Perfect fit for me. I love my new CPAP. 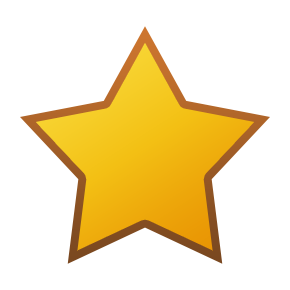 I had my last one for 11 years (I'm told you shouldn't do that) and wasn't even aware of how badly I was sleeping even with the pressure increase. I found the user reviews so helpful in choosing the machine to go with, I appreciate all of the people who took time to post their experiences. My new Intellipap is smaller, quieter and gives me a choice of humidifier settings so I'm not getting rained on. I haven't slept so well in ages. I'm still working on getting the right mask, but I definitely got the right machine. The machine is so quiet I had to run a small air cleaner machine in the room to cover the street noise (I work nights) Very pleased with the machine. There is no noise transmitted into the air hose...my old remstar plus lx sent a hum into the hose. 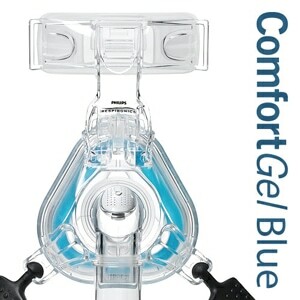 Good basic cpap machine with all the necessary features.